Two brothers, playing different codes at different schools, are both heading down the same promising path. Star Toa, 16, and Lepa, 18, play rugby league and rugby union respectively and are both making waves in their chosen sports. Star, a student at St Paul’s College in Ponsonby, is a rising league prodigy, having signed with the NRL’s Newcastle Knights. 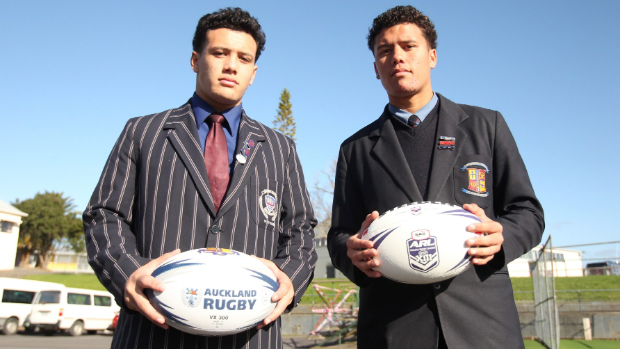 Last year, he was named Auckland Rugby League’s first 13 fullback of the year and made the New Zealand under-16 side. Lepa, currently at Tamaki College in Glen Innes, plays rugby union and has helped steer the school’s first 15 back into Auckland’s premier 1A competition.